Update: Read my (German) conference report on heise developer. 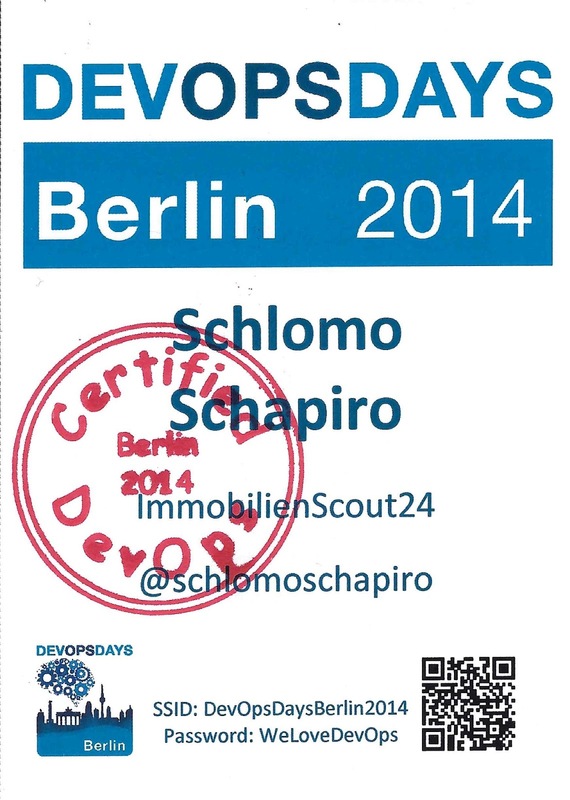 Last week I was at the DevOps Days Berlin 2014. This time at the Kalkscheune, a much better location than the Urania from last year. With 250 people the conference was not too full and the location was also well equipped to handle this amount. Proving DevOps to be more about people and culture, most talks where not so technical but emphasized the need to take along all the people on the journey to DevOps. An technical bonus was the talk by Simon Eskildsen about "Docker at Shopify" which was the first time that I heard about a successful Docker implementation in production. Always good to know is the difference between effective and efficient as explained by Alex Schwartz in "DevOps means effectiveness first". DevOps is actually a way to optimize for effectiveness before optimizing for efficience. Microsoft and SAP gave talks about DevOps in their world - quite impressive to see DevOps beeing main stream.